–“Towards an ideal African health system” is a series of papers sponsored by Research Matters at the International Development Research Centre. 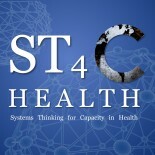 –Global Action for Health Systems Strengthening, a set of policy recommendations to the G8. This entry was posted on December 17, 2009 by chads in Resources for HSS Consensus Statement.